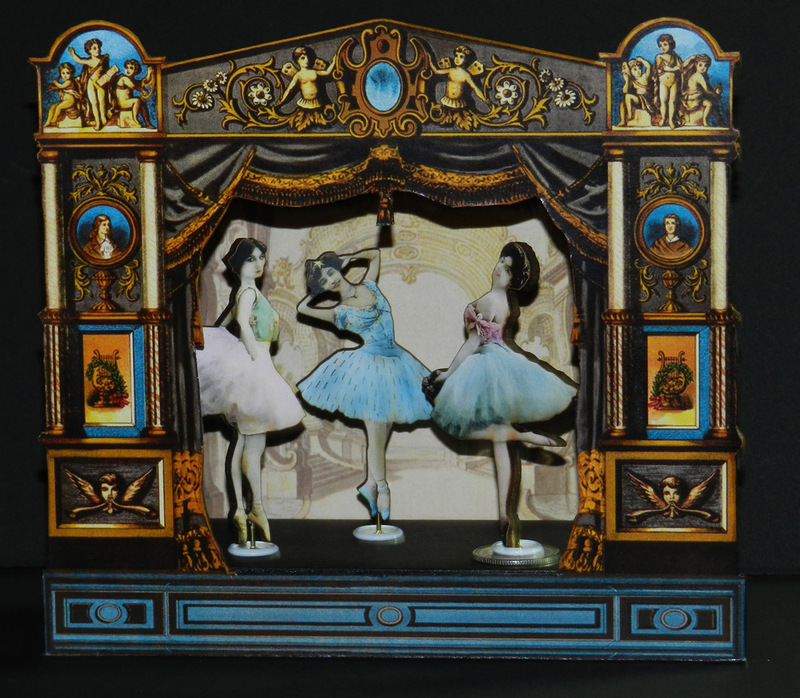 and some fun wooden fashion figures as characters for my stage. I chose my "Onyx" version of the Cherub Theater for this project. 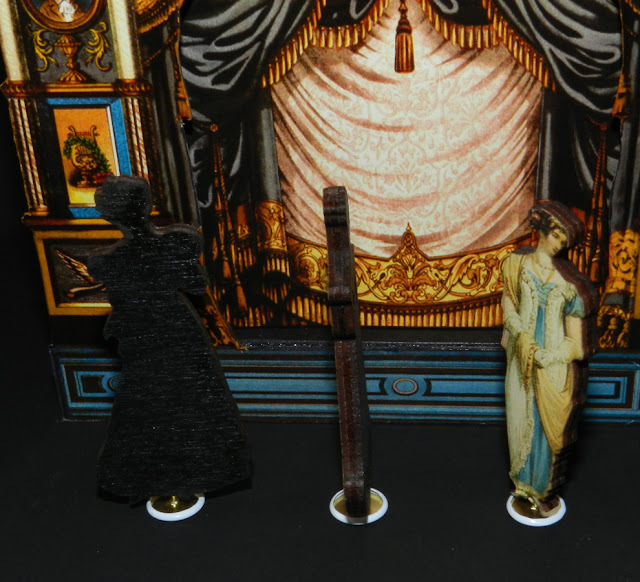 I printed and assembled the "Onyx" theater from the previous Toy Theater post; which I mounted to heavy cardboard and attached it to a theater base I constructed from black foam core board. 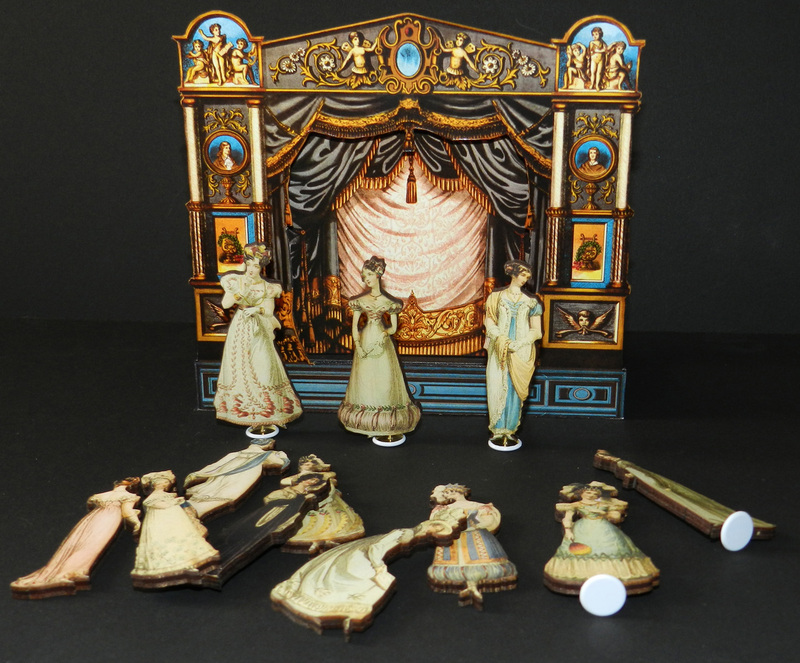 I then used these fun wooden cutouts as characters as players on the stage. 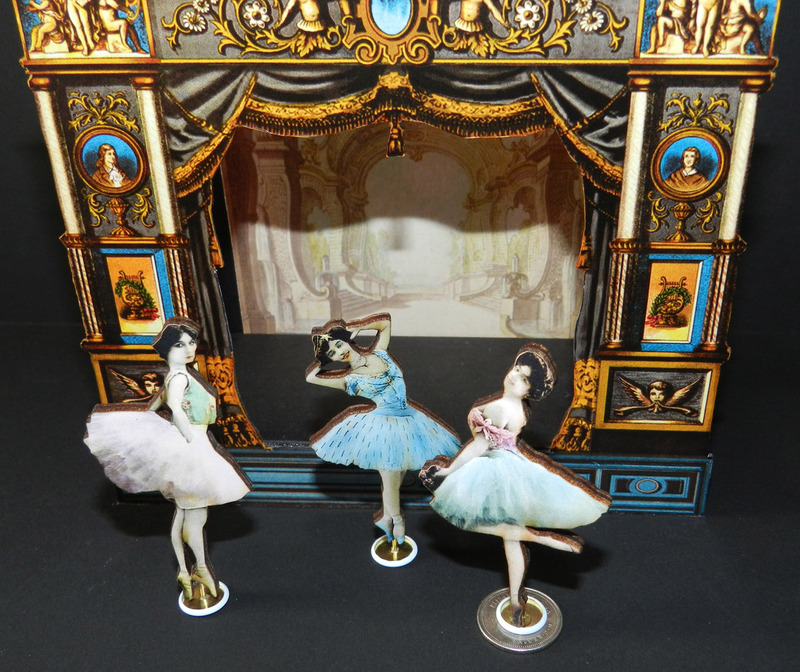 I've been wanting to do a project with these great miniature wooded figures from PorkChopShow via Etsy and thought they would be great in a toy theater; so I sized down my theater just a bit (to approx 5 inches tall) to accommodate the pretty ladies which are approximately 2.5 inches in height. Of the figures I received I've chosen to use these adorable vintage ballerinas and a nice selection of Regency Fashion ladies from my 2011 Ackermann's Collection that are now available in wood thanks to the creative energy of PorkChopShow. Normally I would use paper cutouts as characters in a Paper Theater; however, it was so much fun to have these heavier woodcuts to use for a change. I chose to get my ladies to "stand" by attaching some flat head tacks from the hardware store as a base. 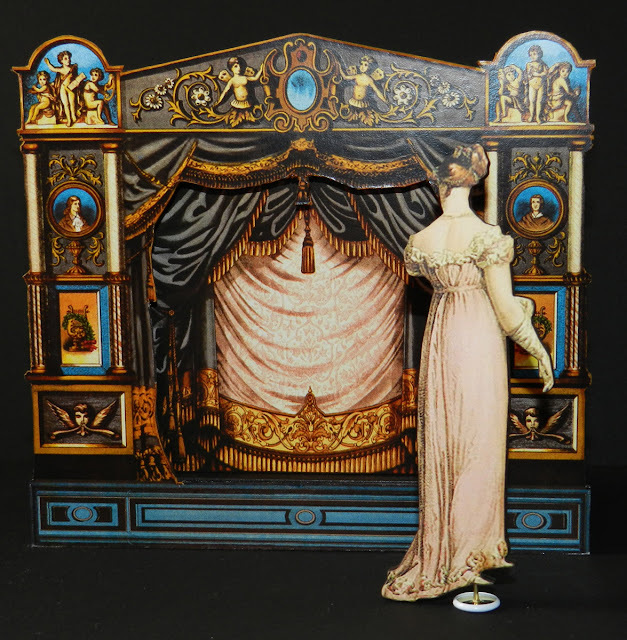 For the most part the flat bottom tacks woke grate as stand for the wooden cutouts; however depending on the weight distribution or surface area some modification of use was necessary as with the ballerina to the right. In her case with just one narrow toe on point I was not able to insert the tack into the piece without "splitting" it, so I opted to glue her on the tack. I also needed to glue the tack to a coin to help stabilize her since her weight was not evenly distributed and she kept wanting to tip over. Normally I would have painted the coin black to disguise if from view but in this instance I wanted it to show up for the camera so you could see what I'd done. I know the ladies are a bit hard to see on the dark background but they are 1/8 inch thick and between 2.25 and 2.50 inches tall. They are great for using on projects where you want something more substantial than a paper cutout and since they are laser cut the edges are smooth and clean. I chose to use as "stands" for some of the ladies. various views of the woodcuts. how smoothly they are cut, the thickness and how the backs are finished off in black. Scott did make me a larger set of My Regency Ladies and since I'm not sure if the larger size of 4 inch ladies is normally on offer I didn't what to tease you too badly by crafting with that size. I wanted some for Christmas Tree decorations and that's what I'll be doing with my larger set. However, I did want you to at lease see one of them so here she is with the theater. special order that size but you can currently see what can be purchased as follows. The wooden figures seem to be quite popular and sell well so if the links provided already show these sets as "sold" just go back to his main page HERE to see what's currently in his shop or to contact him regarding a set you would like to have. 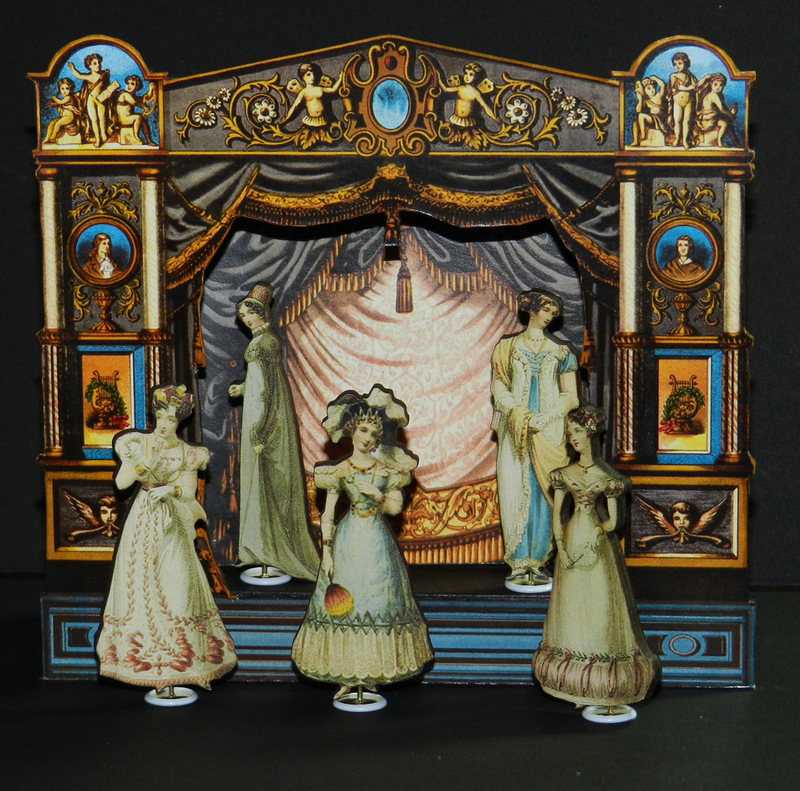 I had a lot of fun working with the wooden ladies and look forward to "playing" with them again at a later time. I'll let you see what else I create with them when the time comes and hope you give them a try yourselves. A special thanks to Scott of PorkChopShow for supplying the wooden ladies used in this project. I hope you drop by his site on Etsy and check out all the fun and interesting wooden figures and collections he has available for your crafting pleasure. 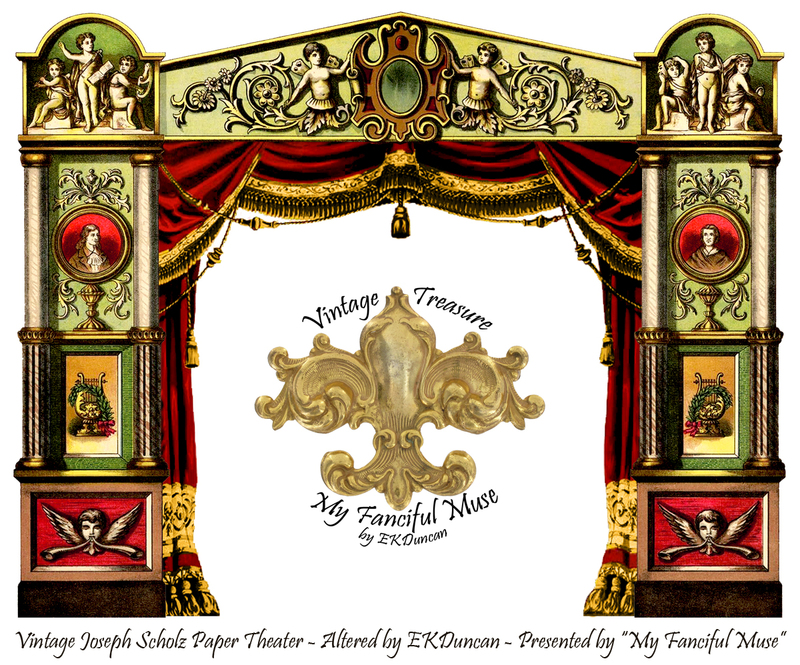 which are my altered versions based on a vintage German Toy/Paper Theater sheet. Part 1 can be seen HERE, if you need to catch up first. I love creating little "theatrical" scenes digitally and could not resist making one for this post. in the post along with a nice color selection of other. But first I'd like to show you what changes I made to get to this new look. 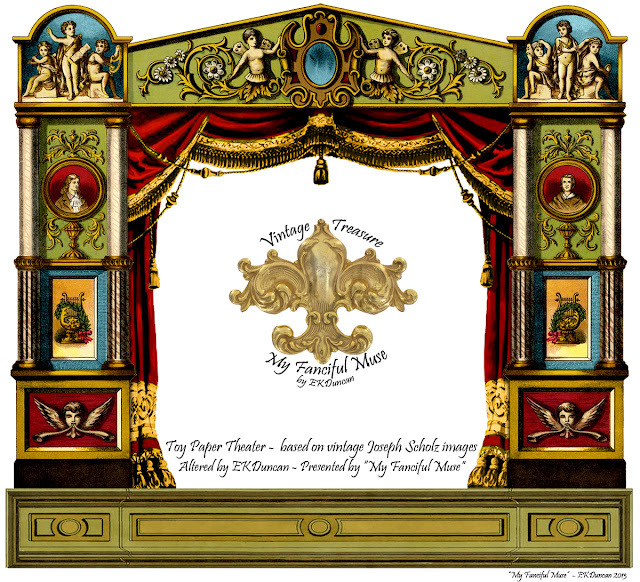 I started with an unassembled theater sheet, did a bit of clean up and then assembled it digitally. I did a small bit of color clean up but not much; since for Part 1 of the post I wanted to present a fairly vintage authentic version of the theater. There are still some fun "adds" in Part 1 but the real magic for me takes place on this post and I hope you thing so too. The two bottom images show how the alteration progressed for this new post. I started off by reworking the details and colors on the entire theater and I chose to give the theater a base rather then leaving it open. I like having the addition to "anchor" it; however if the base is not needed for whatever reason it could easily be removed. 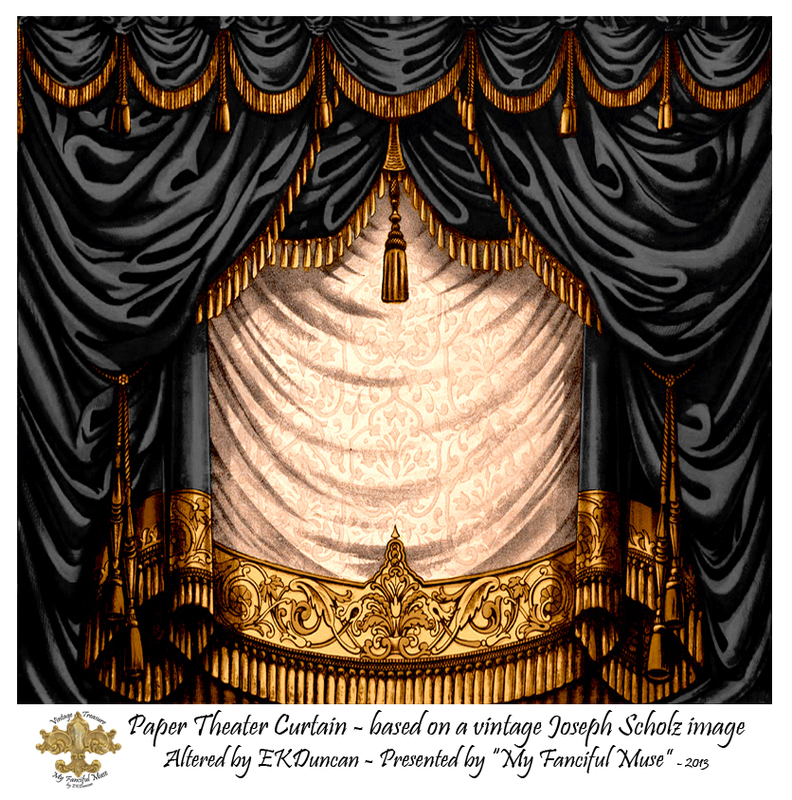 Once this was done I removed the original curtain topper and installed a different Joseph Scholz theater curtain in its place. included a coordinating full curtain as a fun little bonus to use with it. This version of the theater is the closest to the original color scheme. you can cut out the long part of the drapes and leave only the upper swag and cords. This full curtain can be used in addition to the above theater or if you have chosen to cut out the curtain portion on the theater you could use just the upper swag portion of this curtain as a topper curtain on the theater. It's fun to get creative and try different looks on these theaters. This version of the theater is is more of a "Fairy Tale" blue and pink color scheme. cutting out the above inset curtain in whole or by leaving only the upper swag and cords. This is my Green and Teal version of the theater . I love classic black and could not resist Creating this Onyx color scheme. This is my Plum and Moss version of the theater . This is my Pink and Green version; it's also the one I used for the opening image in this post. 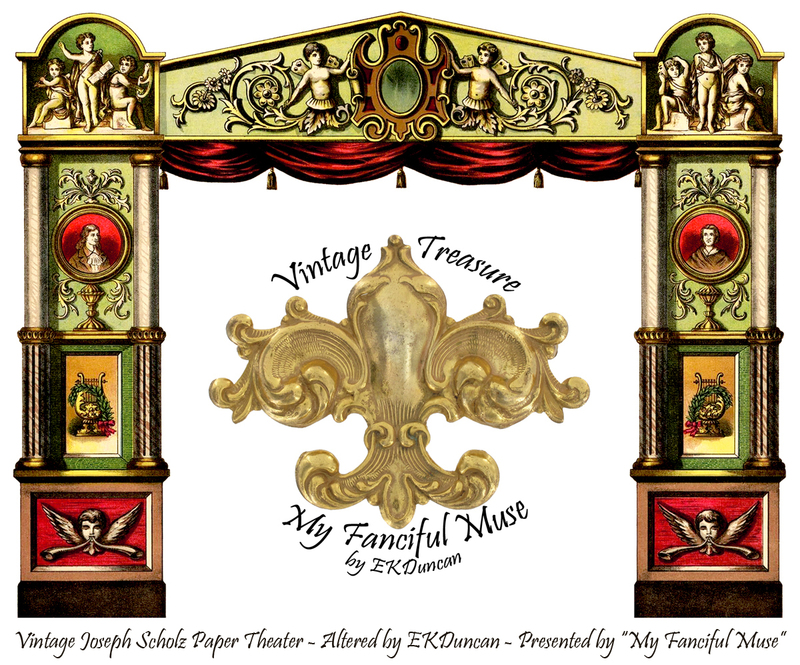 I create most of my art digitally but also intent to make several "real" theaters using a variety of vintage images I've altered. 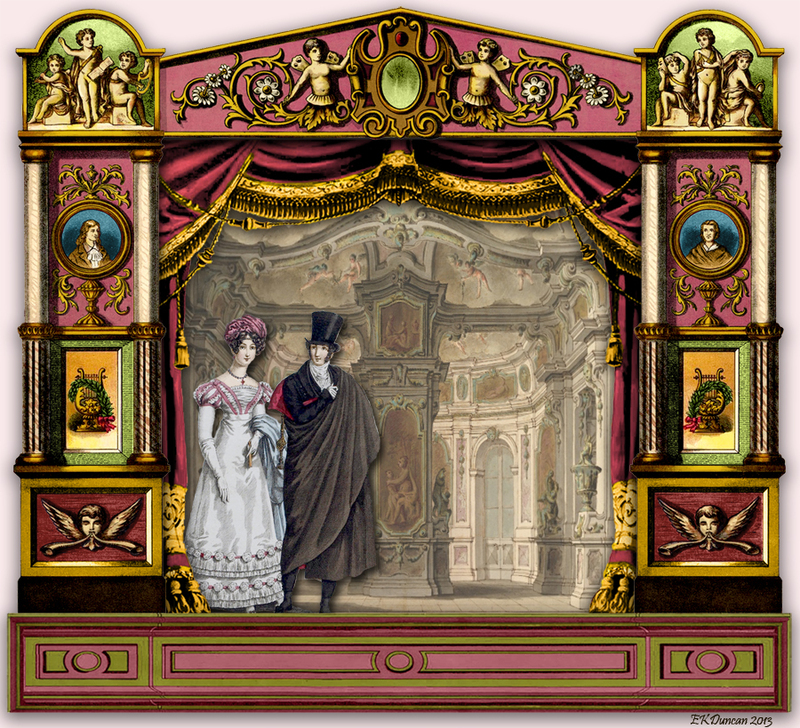 This digital scene gives you an idea of how you can add in backgrounds and characters to get a "theater" look. 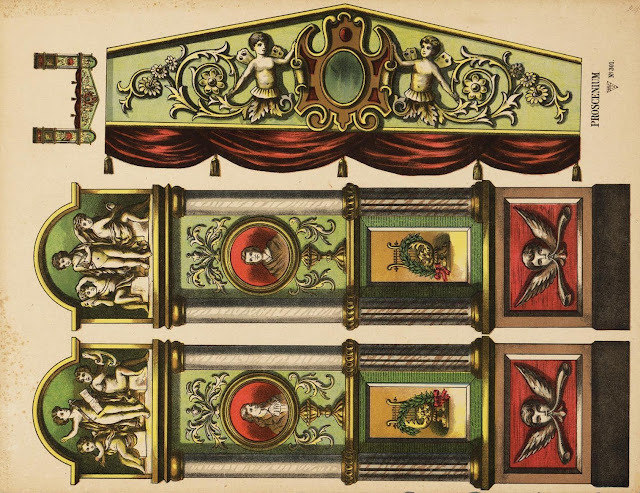 images from 1822 and a beautiful architectural painting for the background. and is a design for and opera set, the Congress of Cupids. I'm in the process of creating a theater diorama that I hope will tickle your fancy using one of these theaters and some fun wooden cutouts, so check back later on to see how it came out. 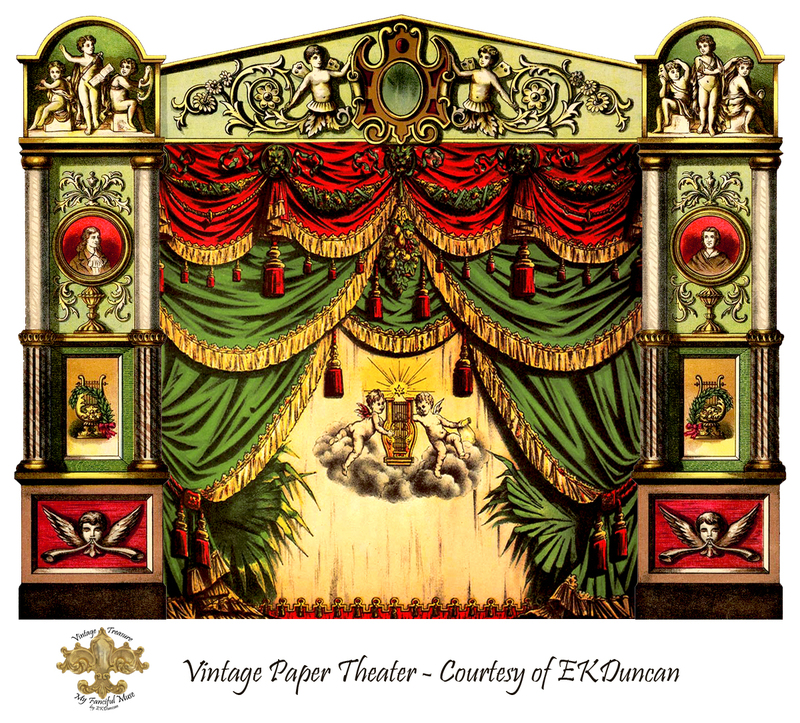 Hi all - I'm back with another vintage paper theater. This time I've chosen to alter a sweet little German Theater with cute cherubs on it. 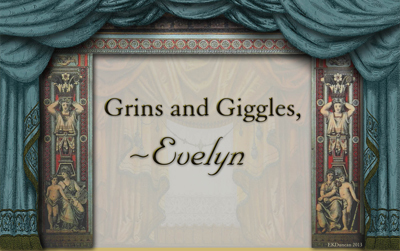 It seemed like I nice little theater to share around Valentine's so I hope you like it too. I'll share a nice assortment of my altered and colored versions of it. Once again the original paper theater came as an unassembled paper sheet which needed to assembled into a toy theater. I've done it digitally; however back in the 1800's this would have been done on a wooden or heavy cardboard base and turned into a dimensional and working theater. 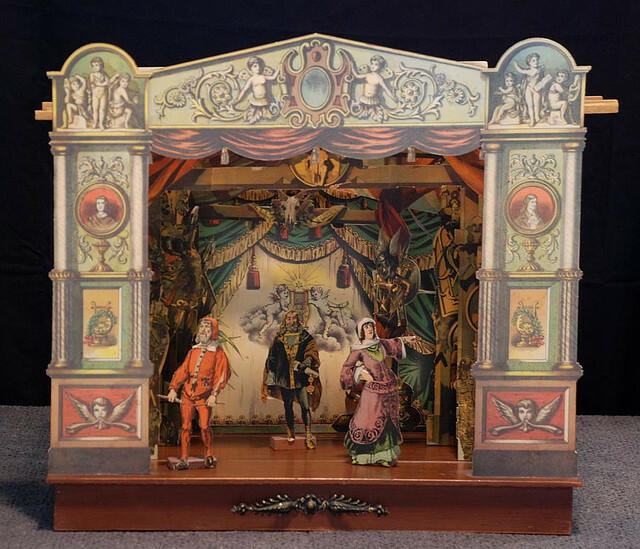 This photo gives you an idea of what the "working" toy theater looks like. And here is what the original uncut paper theater sheet looked like. This item is attributed to publisher Joseph Scholz and is listed as Proscenium 301. Note the image at the side of the sheet to show users how the parts should be assembled. update 2/13/13 - I was informed that this particular theater is called the "Putti Theatre". "Putti" being those little winged angel heads on the left and right base of the theater. A special thanks to Harry Oudekerk for this informative gem. I started with the vintage un-cut image, brightened it up a bit and then assembled it digitally. Then I began making alterations to change the look moderately. 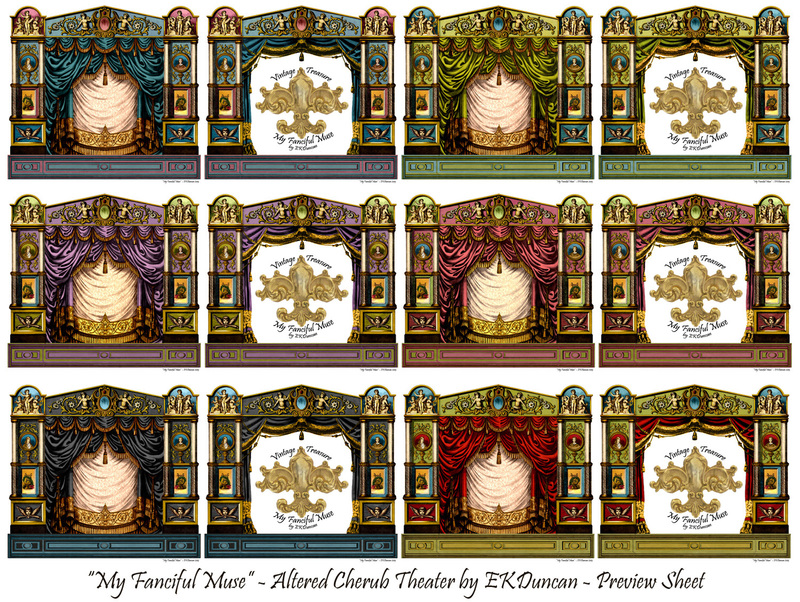 Next I added in a few curtain options to see how it changed the look of the theater; and these are the results I got. Joesph Scholz paper curtain into the opening. It's a busy look but it works. 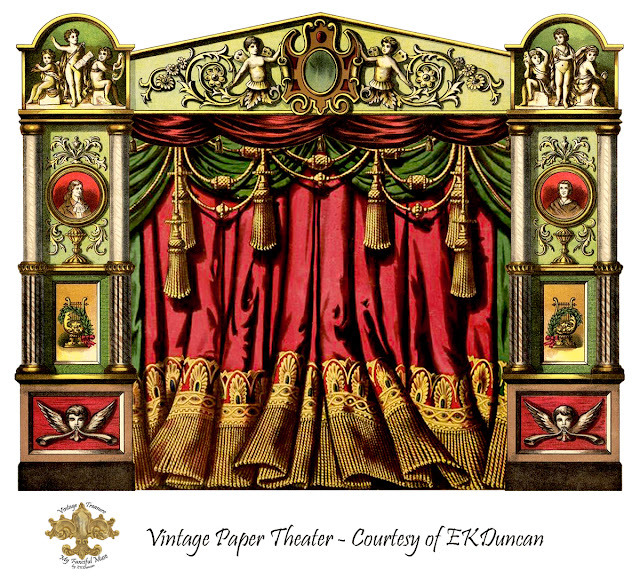 Next I left in the original red curtain topper on the theater and popped in this fun vintage paper curtain. I do not know the maker of this paper curtain but I love the way it looks with the theater. and replaced it with this open 1880's Jos. Scholz curtain. 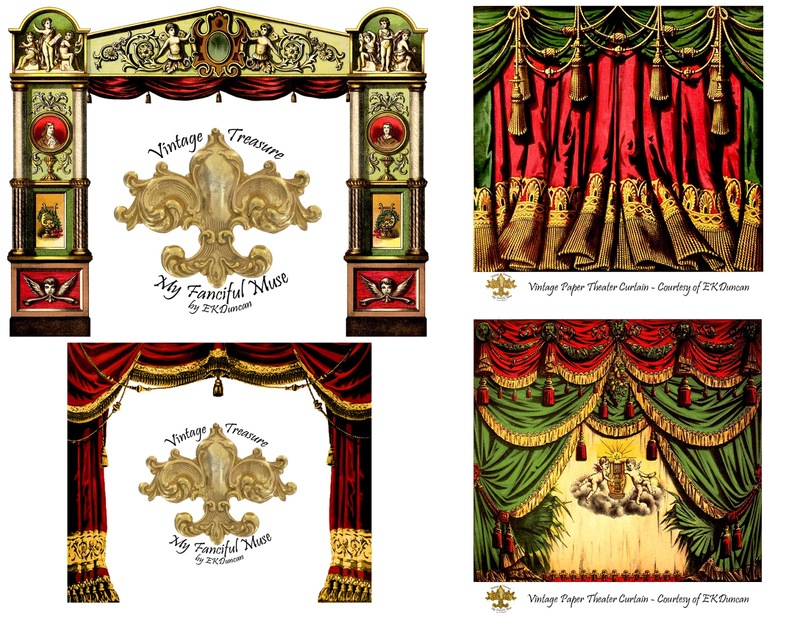 The curtain starts off in this stage and then you have to assemble it for use. 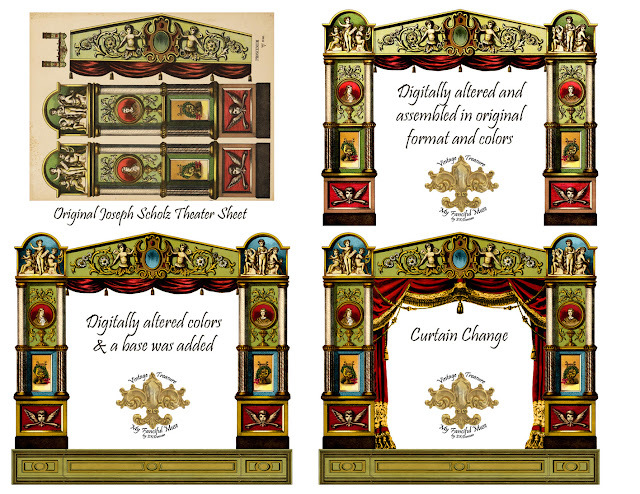 This is a quick print sheet with all the individual parts used to create the different theater looks. Most of the items are by the Publisher Joseph Scholz. Since Toy Theaters are more of a European hobby and you may never have heard of Joseph Sholz, I thought I'd put in a little blurb with the information I had on this publisher. A bit about the German publisher Jos. Scholz. 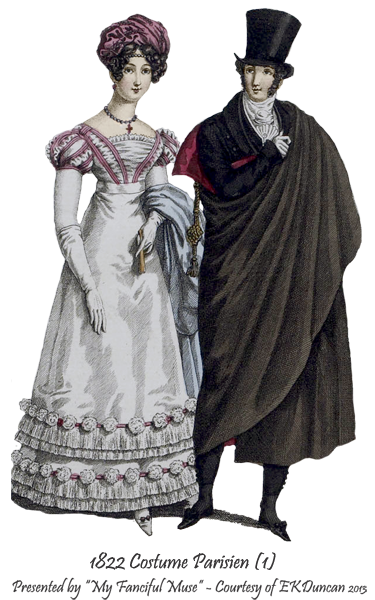 The company was started by Joseph Carl Scholz (1768-1813) and passed to his sons after his death. They expanded into Lithographic printing in 1820 and by 1829 the company was split between 3 bothers. The two eldest settled in Mainz and started producing Penny Prints, Paper Toys, Board Games and later expanded into Illustrated Children's books. At the height of their success they had twenty large presses that had a hard time keeping up with the demand and as many as 350 colorist, usually women, working on the prints. 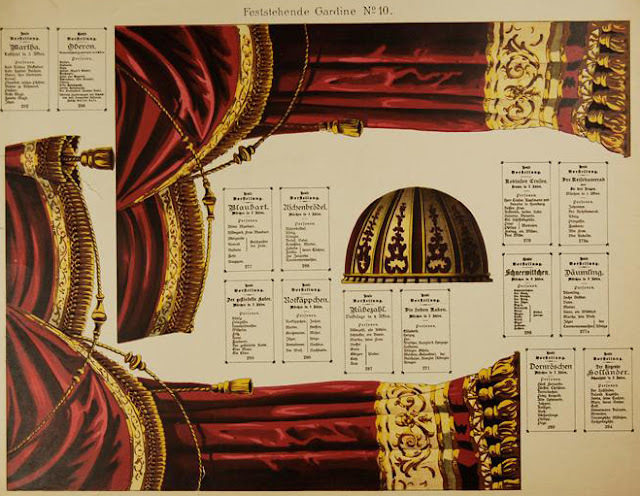 Though located in Germany they produced items for other countries as well, which explains why on some of their prints you may see instructions or notations in multiple languages. It was not uncommon for there to be between 2-5 multi-language notation, depending on how many countries a sheet would be sold. German,Italian, French, English, Danish, Swedish, Dutch and sometimes even Latin would appear on a Jos. Scholz sheet. Those of you who follow my blog know I love to digitally alter and change images. This "Cupid's Theater" is no exception and here is a little sneak peek of what's coming up next time in Part 2.
add in the alternate open curtain and modify the theater's coloration. and brought in one more JS curtain option for when it's "curtain down" time. so check back in to see all the pretty color combinations I've come up with.